TEA BENEFIT Skin and Hair Health: The antioxidants in green tea may help keep your skin from being plagued by acne, and in some cases have been demonstrated to function equally as well as the harsher benzoyl peroxide used in so many skin products. 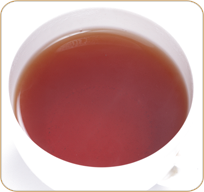 Digestive Tract Health: The tannins in tea have a therapeutic effect on gastric and intestinal illnesses and make it a great digestive aid. These tannins decrease intestinal activity and exercise an antidiarrheal effect. The polyphenols in green tea have been demonstrated to have an effect on intestinal inflammation suffered by people afflicted with conditions like irritable bowel syndrome. DESCRIPTION Nilgiri Leaf tea flavored with cinnamon.